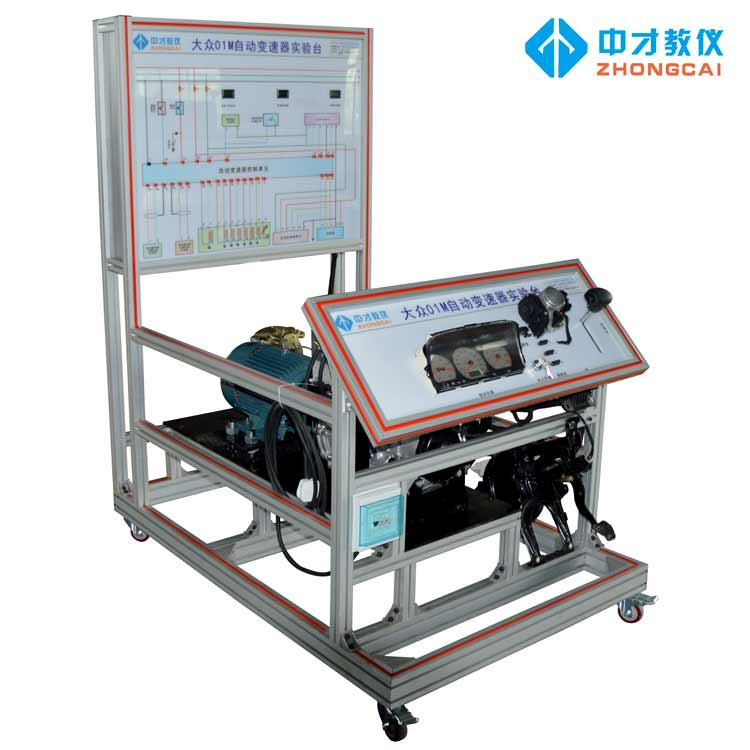 The following is about Volkswagen 01M automatic transmission training platform related Description, I hope to help you better understand Volkswagen 01M automatic transmission training platform. 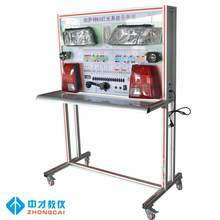 The above is the Description for Volkswagen 01M automatic transmission training platform. If you want to know more about automatic transmission repair training, automatic transmission technician training, etc., you can contact us. 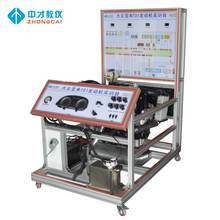 The following is about Volkswagen 01M automatic transmission training platform related Parameter, I hope to help you better understand Volkswagen 01M automatic transmission training platform. 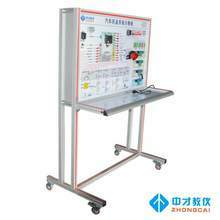 The measuring panel of the training platform is painted with a color inkjet circuit diagram. It is made of high-strength acrylic sheet with 8mm thickness and is resistant to large temperature difference, wear-resistant, moisture-proof and anti-Corrosion, not easy to deform, long service life, bright colors, not easy to fade. The vehicle instrument panel is installed on the operation panel of the training platform, which can display the parameter changes such as engine speed and output shaft speed in real time. Diagnostic interface installed for connection to dedicated or universal. The type of car decoder performs self-diagnosis functions such as reading the fault code, clearing the fault code, and reading the data stream to the transmission electronic control system. Equipped with a shifting mechanism for easy access. 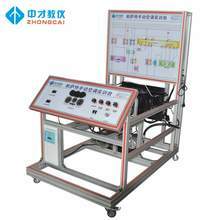 The test terminal is equipped with a detection terminal, which can directly detect the electrical signals of each sensor, actuator and transmission control unit pin, such as resistance, voltage,current, frequency signal, etc. The training platform is built with international standard aluminum alloy profiles. It has the characteristics of light weight, high strength, corrosion resistance and long service life. It does not need to be sprayed and is more environmentally friendly.The appearance is more beautiful and high-grade, and the platform has self-locking caster device, which is flexible, safe, reliable and durable. If you want to know more Parameter Volkswagen 01M automatic transmission training platform, or other related automatic transmission repair training, automatic transmission technician training…. and other products Parameter,you can contact us. The following is about Volkswagen 01M automatic transmission training platform related Image, I hope to help you better understand Volkswagen 01M automatic transmission training platform. If you want to know Volkswagen 01M automatic transmission training platform, more related products Image, such as automatic transmission repair training, and automatic transmission technician training… etc., you can contact us directly. We can provide you with more Volkswagen 01M automatic transmission training platform, related information, or automatic transmission repair training, or automatic transmission technician training… information sent to your e-mail. Our factory has more experience in production Volkswagen 01M automatic transmission training platform，and we can provide multiple types related products, such as automatic transmission repair training,automatic transmission technician training,automatic transmission repair training,automatic transmission technician training,automatic transmission repair training,etc. If you want to know more details about these, welcome to contact us! We have standardization process in production Volkswagen 01M automatic transmission training platform, and ensuring our product’s quality.We have professional pre-sales team, they can answer your each questions, which are about automatic transmission technician training,automatic transmission repair training,automatic transmission technician training,automatic transmission repair training,automatic transmission technician training,etc.We have hard-working after-sales team, who are providing after-sales service and protection for our clients.